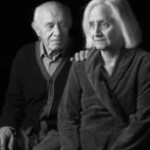 For the past two years the Wait Time Alliance has reported a worrisome trend of little to no progress in reducing waits for a range of necessary medical care in Canada. A review of the 2014 provincial wait-time data reveals that some provinces have or are beginning to make substantive and sustained progress to reduce wait times in the four initial areas where benchmarks exist—notably Ontario, Newfoundland and Labrador and Saskatchewan. It has now been a decade since the 2004 Health Accord was signed by First Ministers. Among other things, the Health Accord called for the establishment of evidence-based benchmarks for medically acceptable wait times starting with cancer, heart, diagnostic imaging procedures, joint replacements and sight restoration as part of an effort to achieve “meaningful reductions” in wait times. Have meaningful reductions in wait times been achieved such that Canadians can access medical care to levels consistent with those available to the citizens of other leading industrialized countries? Others have continued to struggle to make any sustained improvements over the past three to four years. In addition to this provincial variation, there remains significant variation in wait times within provinces and within communities. 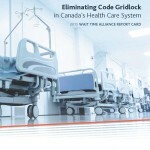 However, while wait time reductions vary across the country, the volume of procedures handled by provincial health care systems—particularly those five initial areas identified in the 2004 Health Accord—has increased. This fact should not be overlooked. This year’s Wait Time Alliance report card also includes a grading of provincial wait-time websites for the fifth consecutive year. Once again, we are pleased to report that the quality and transparency of reporting continues to improve for most provincial websites. This has included more provinces reporting emergency department wait-times, increased reporting of cancer surgery wait times, more provinces reporting pediatric wait times and the reporting of endoscopy wait times in a few provinces. 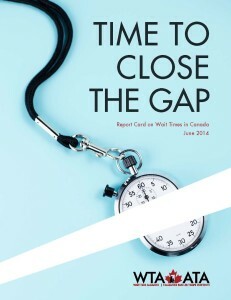 The last section of this year’s report card identifies what the Wait Time Alliance believes are the biggest challenges to be addressed for Canadians to have the same level of timely access as citizens in most other industrialized countries and provides recommendations to address these challenges.